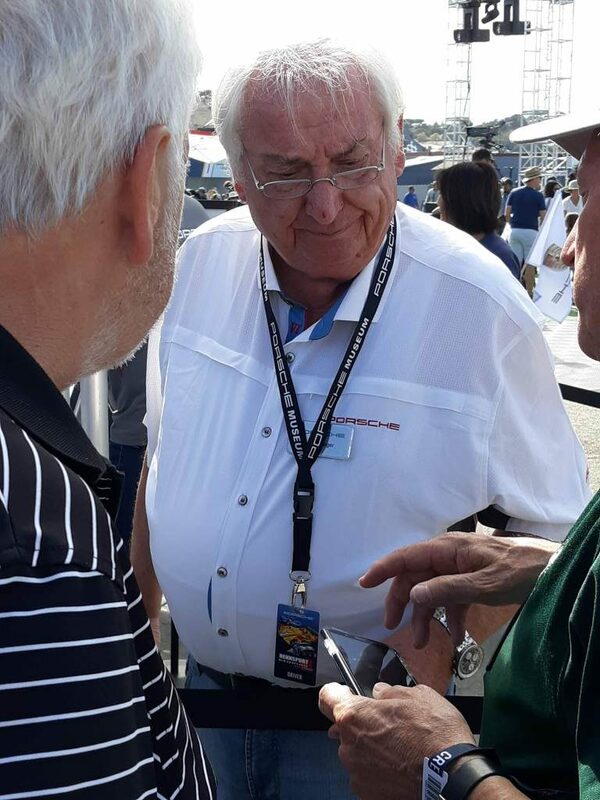 I was fortunate to be able to attend the 6th Porsche Rennsport Reunion at WeatherTech Laguna Seca racetrack near Monterrey CA. First of all, let us recognize the Rennsport Reunion as a brilliant marketing event sponsored by Porsche. 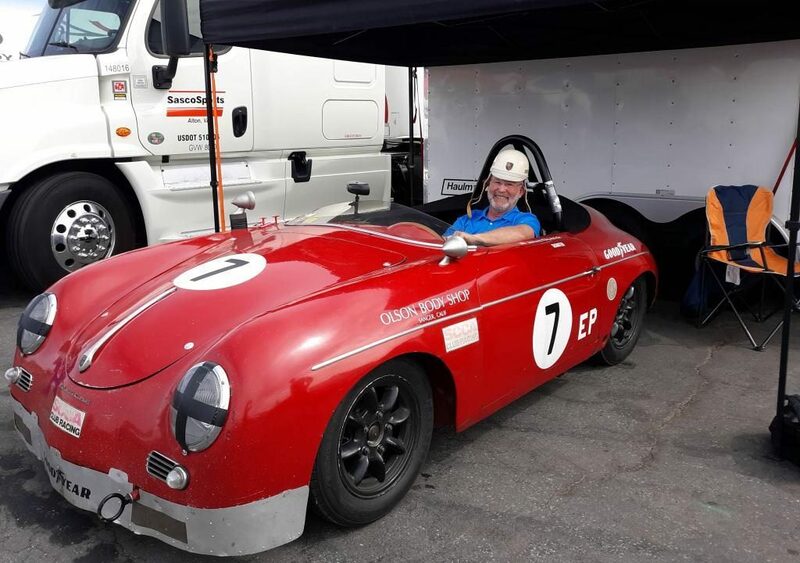 It is a combination of vintage racing, Concours de Elegance, display of museum quality Porsche cars, technical and autograph sessions with top tier Porsche drivers and staff, Porsche owner car show, vendor exposition, and a meeting of old and new friends. All bound together by the Porsche mark. This was my second event after attending RR V. The RR occurs every 3 years, just long enough to keep me coming back without getting bored. I cannot begin to do justice either in words or photos to the wide breadth of activities that occurred over the weekend. I won’t try. For that, I might suggest that you visit the Motor Trend channel on youtube, where I see they have extensive coverage of all 3 days. Also, there is a very good photo gallery here, that I found on Rennlist. For my blog post, I’m just going to cover a few of the quirky things that made my weekend enjoyable, beyond the overload of amazing Porsche cars. First of all, I choose to fly into LAX, rent a car to drive up to Monterrey, and camp at Laguna Seca. Enterprise rented me a nice BMW 430i convertible. Probably not the most practical car for car camping but it was fun to drive up the Pacific Coast highway. In the fog:( Yes, it was foggy and cold most the way but I put the top down and my cold weather gear on to make the most of the trip. For a change of pace, on the 2nd day I took CA route 33 through Ojai on a wonderfully twisty road up over a mountain range and down into the Cuyama valley. It was clear blue skies and pretty damn hot for this portion of my trip. Close to 100F in Cuyama. By the time I got back over to the coast at San Luis Obispo, it was in the 60’s again. Whew! Weather whipsaw. As I had perfected for my trip to the 24 Hours of LeMans, I had an optimized selection of back packable gear that could travel as checked baggage on the airplane. This included a tent, cot, air mattress, table, chair, cooking gear, and small items. I did stop in the REI at Santa Monica to pick up fuel for my stove and freeze dried meals. The freeze dried meals worked out very well. Boil some water, pour it in, let it set for 10 minutes, eat, and discard the packaging. No dishes! The Mountain House brand is the most expensive but well worth it. Especially their breakfast selections. 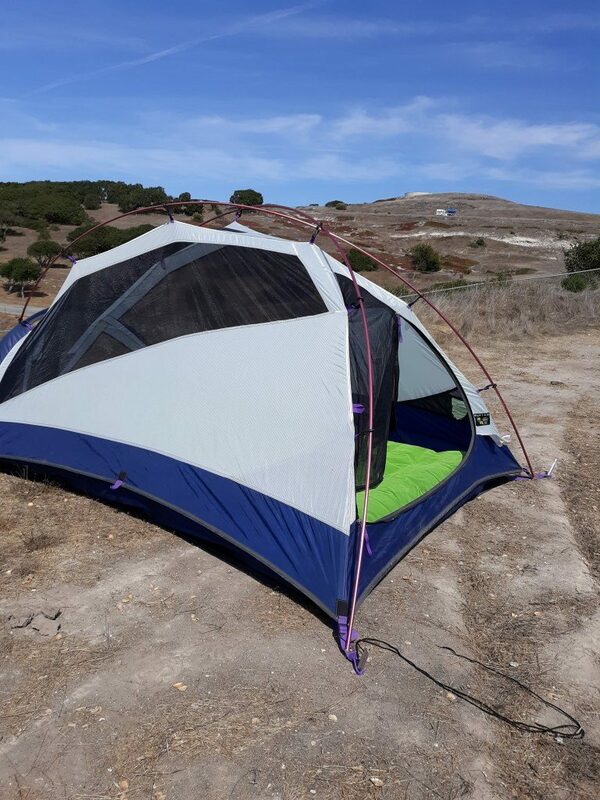 I camped at CA State Parks north of Malibu and at San Simeon. The hot showers were appreciated. I had no trouble finding space on weekdays. BTW, about every 10th car I met driving through the Big Sur seemed to be a Mustang. I suspect it is the car of choice for European tourists flying into San Francisco. 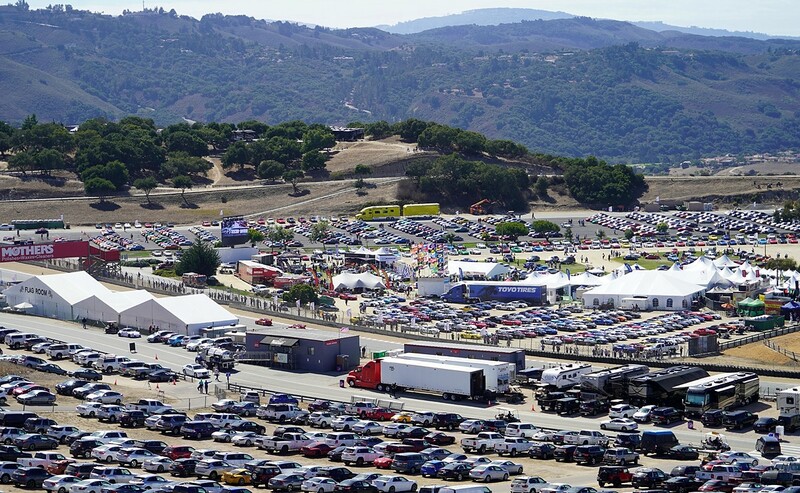 I reached Laguna Seca midday on Thursday and set up camp. One great thing for me about ad hoc camping is the people you meet on a random basis. As shown in my photos below, my camping neighbors included 4 young enthusiasts from San Diego, a guy from NC, a guy from the UK via Vancouver, and others. We all had the common language of Porsche cars to break the ice and make conversation easy. And as most of these folks were seriously younger than me, it gave me confidence that the car culture is alive and well in all age groups. I left on Monday morning and reached LA around lunch time. I spent the afternoon touring the Petersen Museum. I sprang for the 2 hour vault tour and was not disappointed. Of course their current Porsche exhibit is very nice but a little anticlimatic after a weekend at Rennsport Reunion VI. Tuesday morning it time to catch a flight back to NC and reality. So those are the high points of the trip. Following are some photos with captions of things that caught my interest. My tent. I got there early and had my pick of one of the few level areas. By Saturday, I was surrounded by a sea of tents. The San Diego gang. 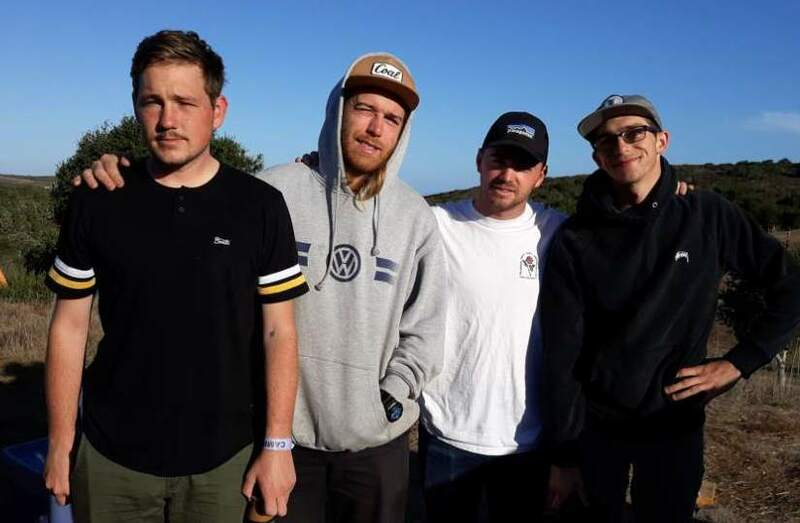 Zach, Coal, Danny, and Grant. Serious gearheads. Also Zach and Grant are serious photographers. Just to mix things up, they shoot with film! Check out Zach on Flickr at Zachary Lenfesty. 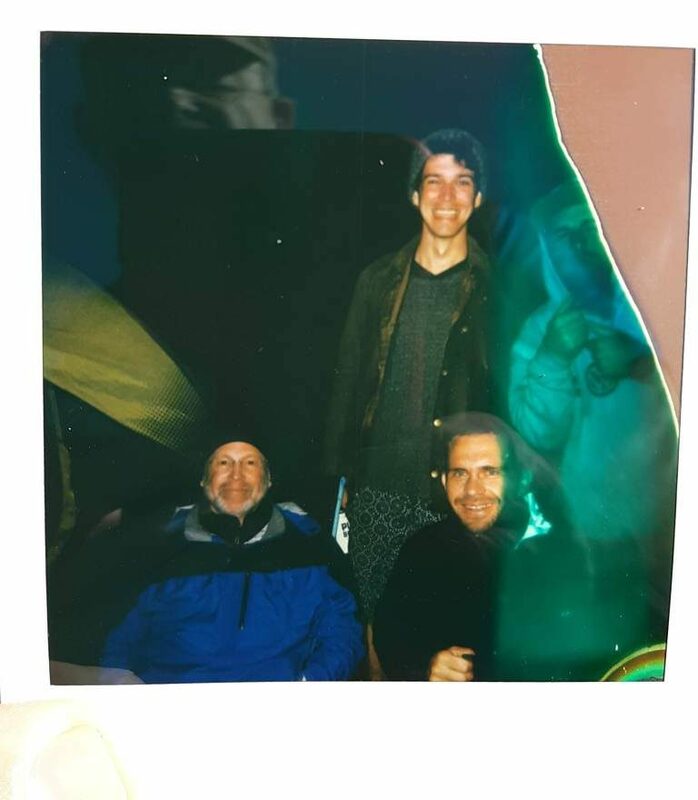 Here we see myself, Liam from Vancouver, and Pav from NC, The format is Polaroid Instamatic, then photographed by my Iphone. Zach likes to take Polaroids. His camera is so ancient, it leaves strange images on the pic. Fun stuff! 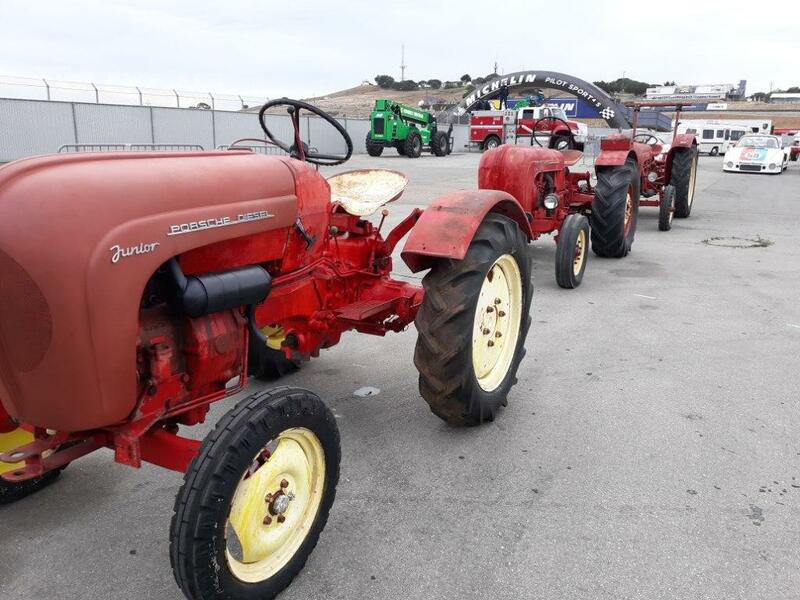 They had a Porsche tractor race! 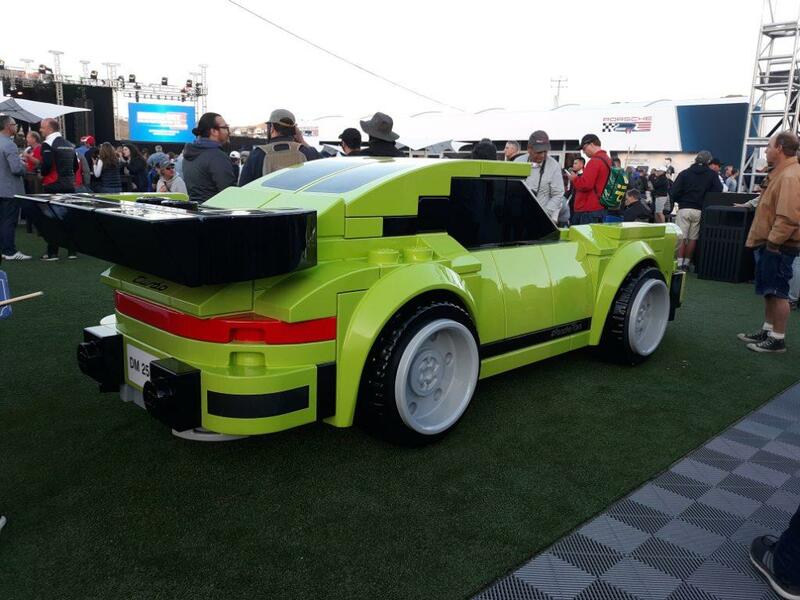 A lifesize 911 constructed from Legos. 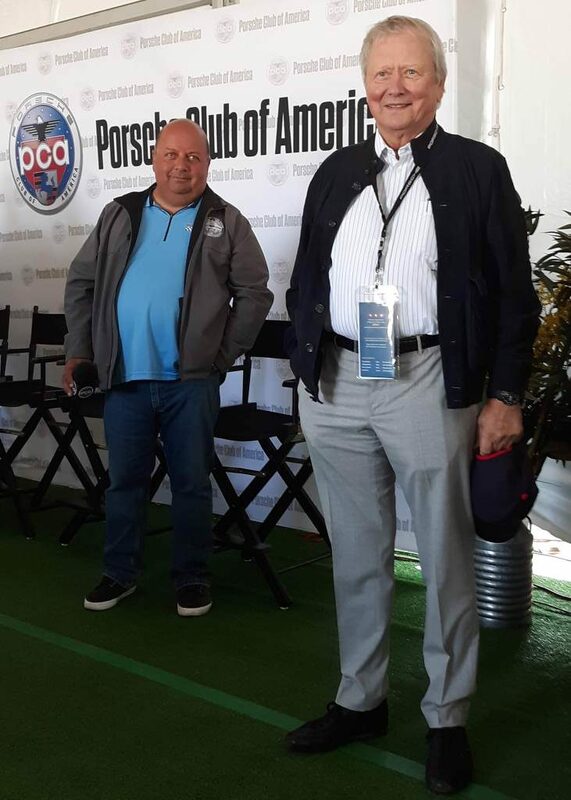 Dr. Wolfgang Porsche with Manny Alban, past PCA President. Me posing in a 1959 Speedster. 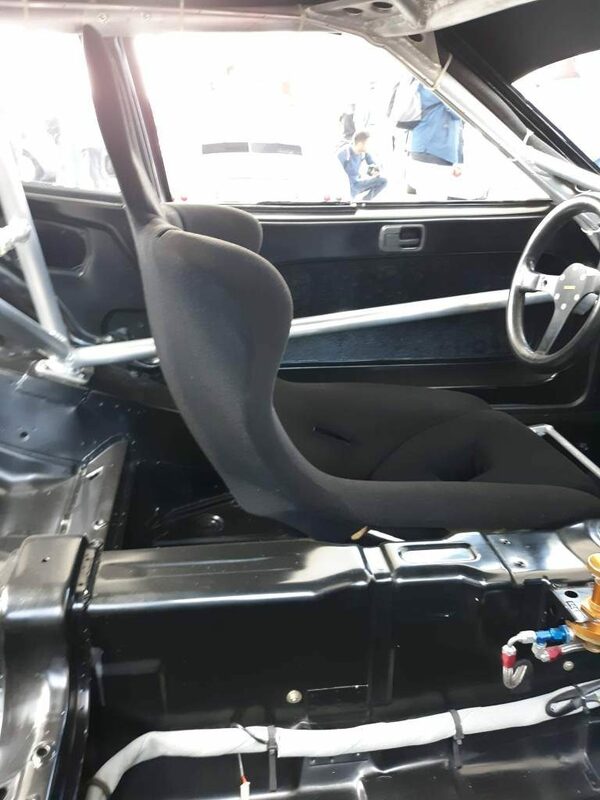 I took a number of photos of seats in the Porsche exhibit 924 and 944 competition cars. I’m trying to find something similar for my 944 track car. If you have something similar for sale, let me know. 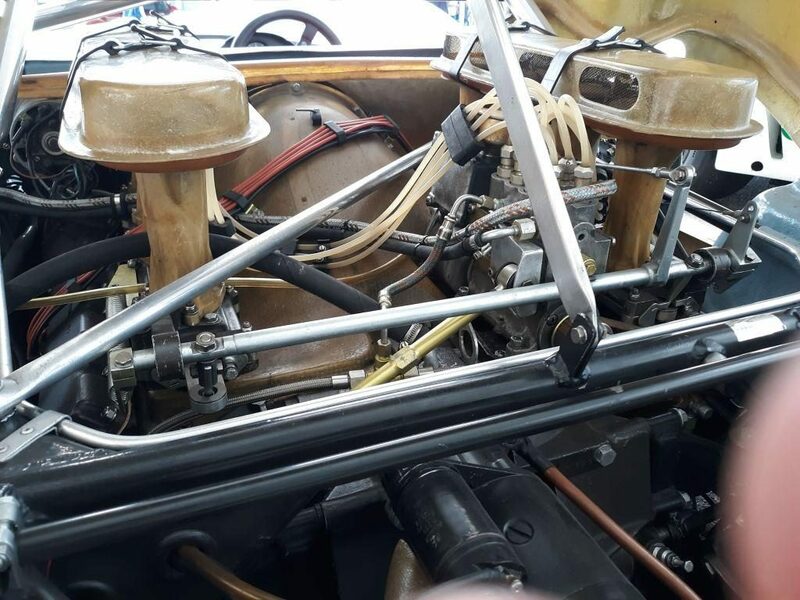 Just one of many examples of early mechanical fuel injection race engines. I love the raw fiberglass velocity stacks with their rain caps.